Chinese internet and ecosystem conglomerate LeEco have just unveiled their two new Superphones in India. 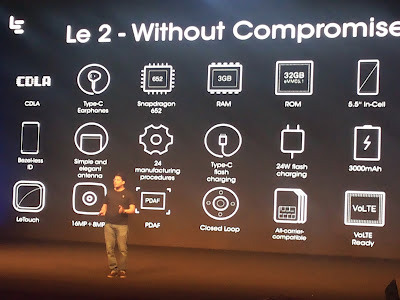 The new smartphones - Le 2 and the Le Max 2 take on the Chinese competitors in terms of the latest hardware and others specs. What’s new! is that the devices feature a new audio standard called CDLA (Continual Digital Lossless Audio) and skip on the 3.5mm headphone jack to deliver lossless audio to users via the USB Type-C port. 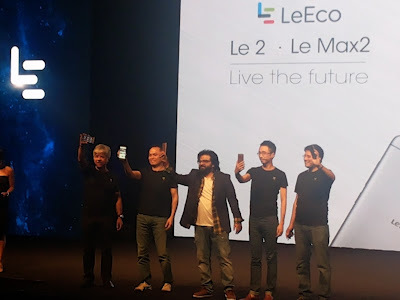 LeEco also announced its LeMall.com, which is an online portal for purchasing new and recent models along with its accessories. Unchanged from its first generation phones – the Le 1s and the Le Max. But holding them side by side, the Le Max 2 easily makes it presence felt, thanks to its larger footprint. All the phones employ metal in their build and the phones comes with chamfered edges, antenna cuts on the top and bottom on the rear side, centrally aligned camera module and fingerprint scanner and so on. The phones looks good, no doubt, but do not lend themselves well to one handed use. 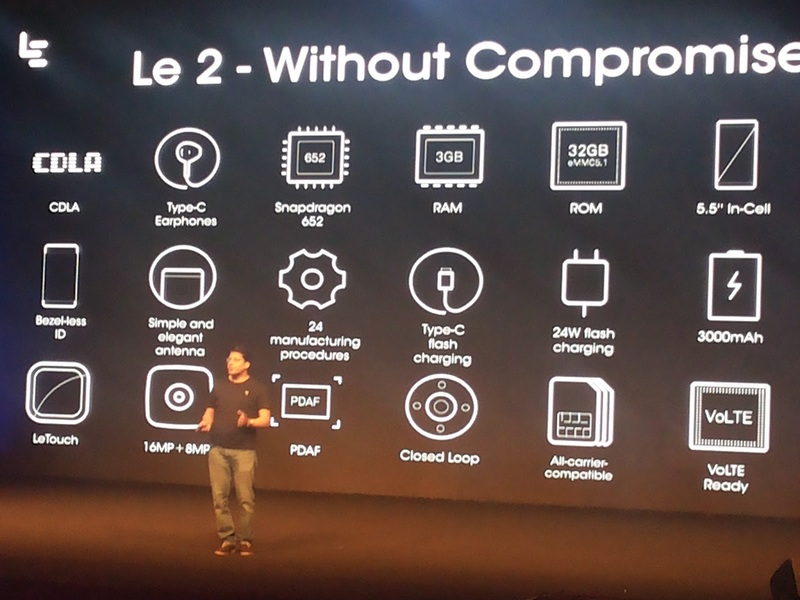 The LeEco Le 2 sports a 5.5-inch Full HD display, Qualcomm’s Snapdragon 652 chipset, 3 GB of RAM and 32 GB internal storage. The smartphone sports a 16 megapixel camera on the back and an 8 MP one on the front. It also has a 3,000 mAh battery to stay juiced through the day and a USB Type-C port for charging and data transfers. The flagship Le Max 2 sports a Qualcomm Snapdragon 820 chipset which has four Kyro cores clocked at 2.15GHz along with Adreno 530GPU. The Le Max 2 comes with a 4GB RAM + 32GB storage variant and a 6GB RAM + 64GB storage variant. None of the phones come with expandable storage. The front camera here is also 8MP with ability to record in 1080p resolution. It also has a slightly beefier battery at 3,100 mAh. While both the devices eUI 5.6 based on Android 6.0 Marshmallow, neither have a 3.5 mm headphone jack. You’ll need a Type-C CDLA earphone sold by the company for Rs 1,990 on LeMall to listen to music. Alternatively, you could spend money on Bluetooth headphone for the same purpose. LeEco is also throwing in a 1 year of LeEco membership worth Rs 4,900 with the two smartphones. The Le 2 has been priced at Rs 11,999, while the Le Max 2 flagship is priced at Rs 22,999 for the 4GB RAM version and the Rs 29,999 for the top-of-the-line 6GB RAM model. The phone will go up for sale on June 28 on their site and on Flipkart websites.